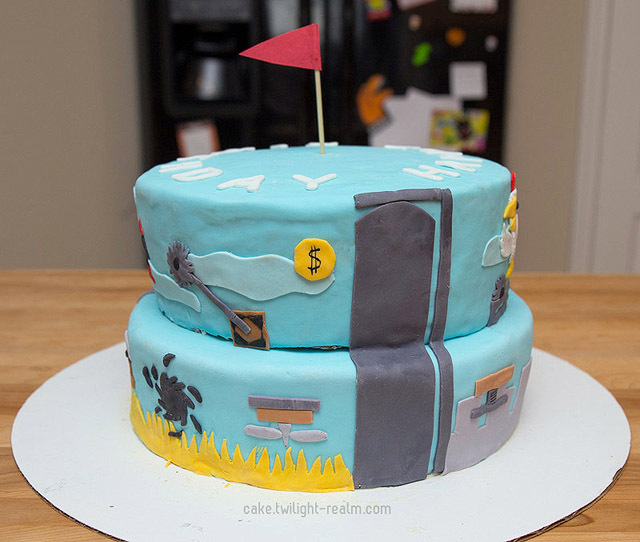 Prior to this cake, my last video game cake was in 2012! 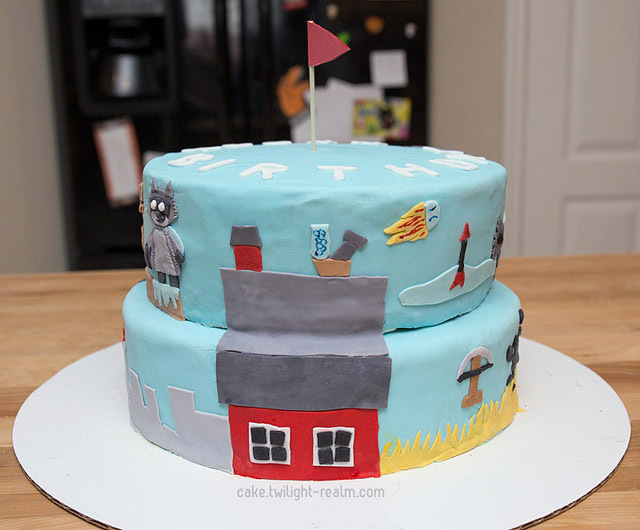 We started taking vacation around or on my husband’s birthday, so I didn’t make a cake those years. 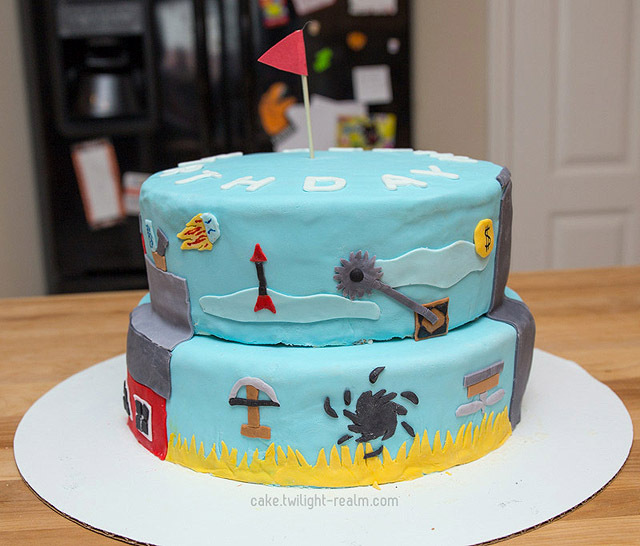 In 2016, I finally had time for one and missed making fondant cakes. 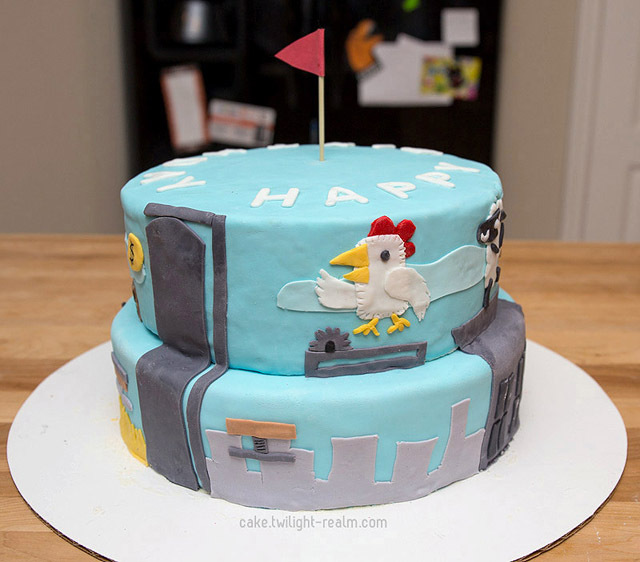 We were also having a lot of video game nights with friends, and Ultimate Chicken Horse was one of our favorites. This is the first time I didn’t do a 3D design. 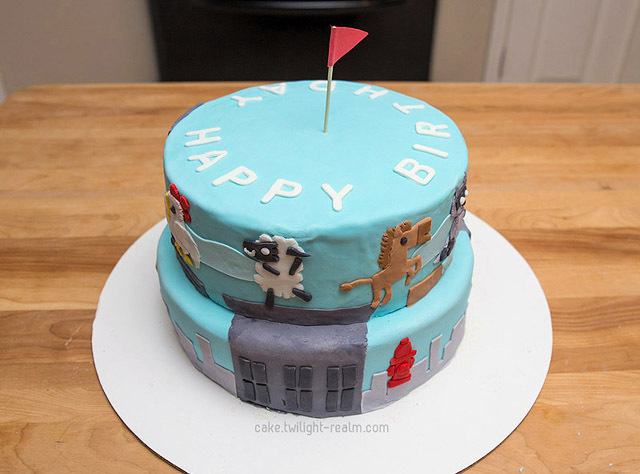 I wanted to stay in Ultimate Chicken Horse’s style, so I did a 2D design around a tiered cake. 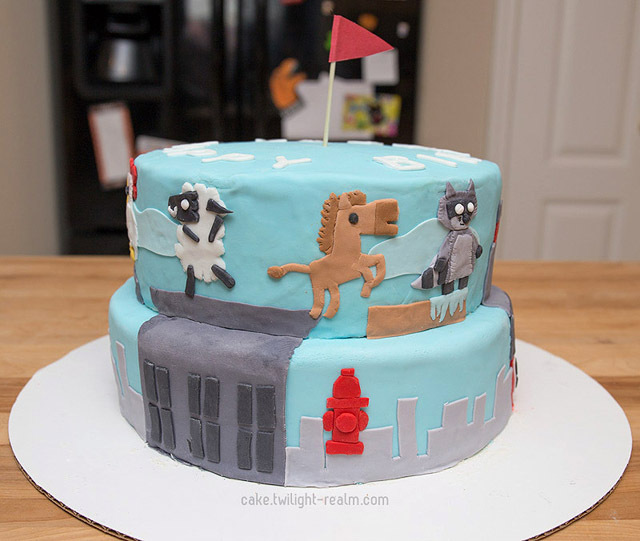 Both tiers are yellow cake with buttercream frosting and are covered in vanilla fondant. 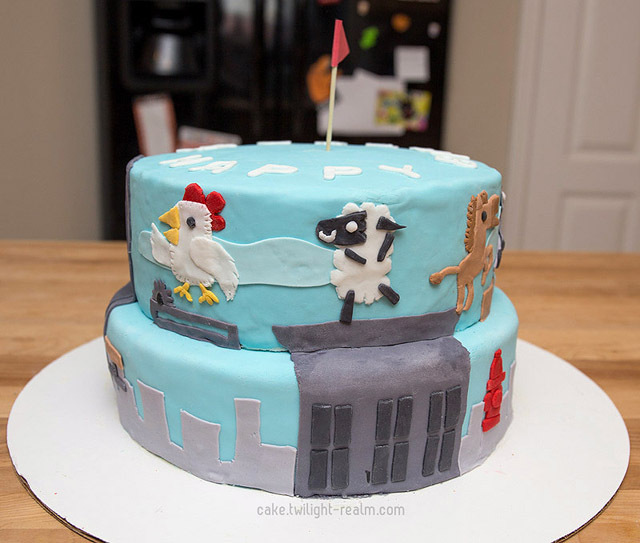 I had several ideas, and I ended up combining two of the game’s levels: Rooftop and Farm. 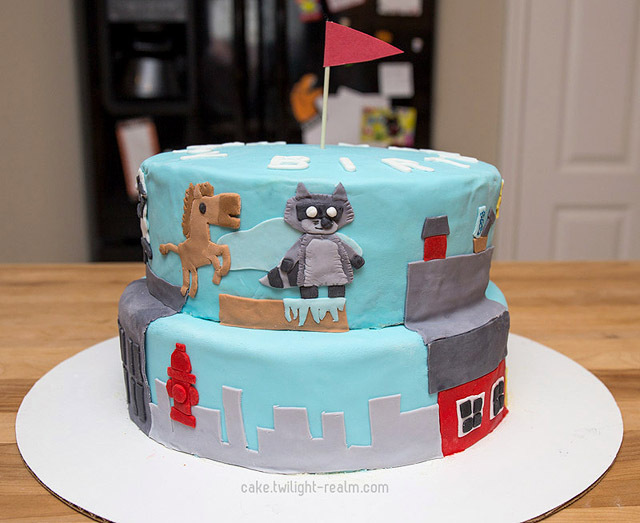 I originally wanted the characters to be around the whole cake, but because I made them too big, they only fit in the Rooftop part. I filled the Farm part with traps instead!